You stole my heart from day one. From your majestic, dream-like landscapes to your colorful markets and big smiles. I will never forget you. 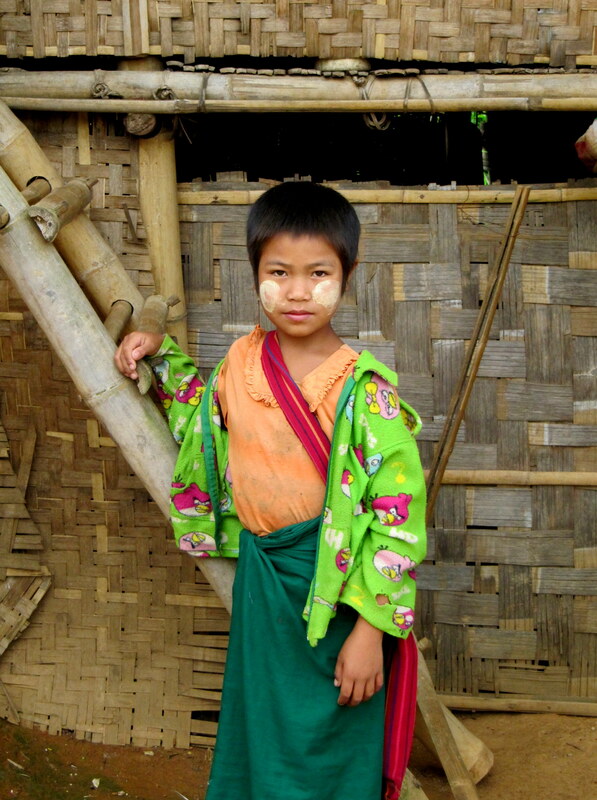 Note: I will refer to this country as Myanmar because all of the local people I interacted with called it Myanmar. 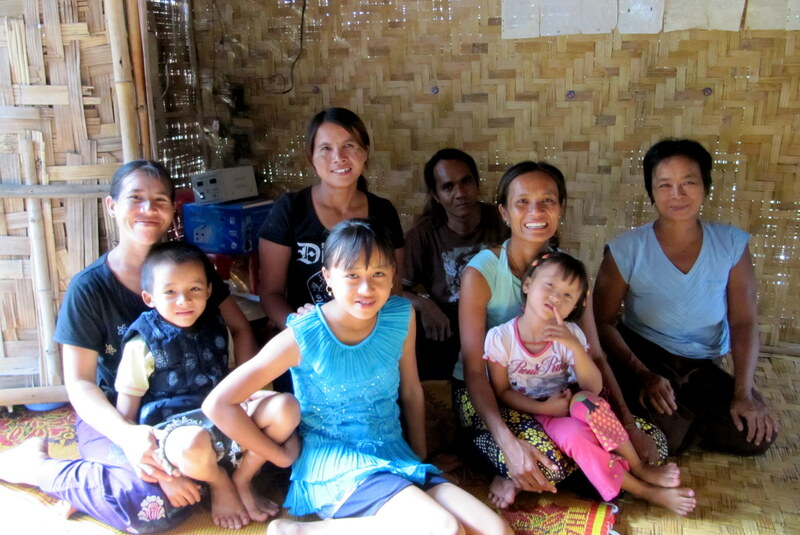 For example, they cheerfully told us we looked like ‘Myanmar Ladies’ when we wore the local “makeup” and longis, which are the traditional long skirts worn by most of country. Many people know this place as Burma. Traditionally and culturally, for the majority, it is. 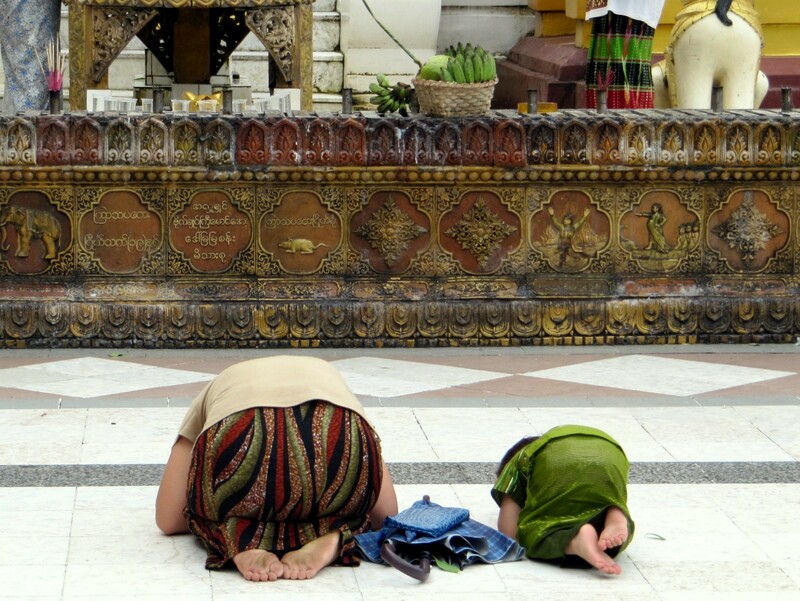 It’s possible that locals feel compelled to use the post-colonial name, Myanmar, because they are afraid of getting in trouble with the government. Political suppression and the lack of freedom of speech are very real, and you have to be careful not to bring up controversial subjects when talking to locals — many believe that the government is listening and will arrest them as dissidents. I don’t care what you want to call it — it was one of the most stunningly beautiful and wildly interesting places I’ve been. And it has, without a doubt, the most friendly, welcoming, warm, helpful and genuinely kind people I’ve ever met. Because the thing that made this place really special for us was the people — who not only welcomed us into their homes, but helped us find our way around and even cooked us dinner without ever asking for anything in return — I want to share what can best be expressed in photos. Much more than words can say. 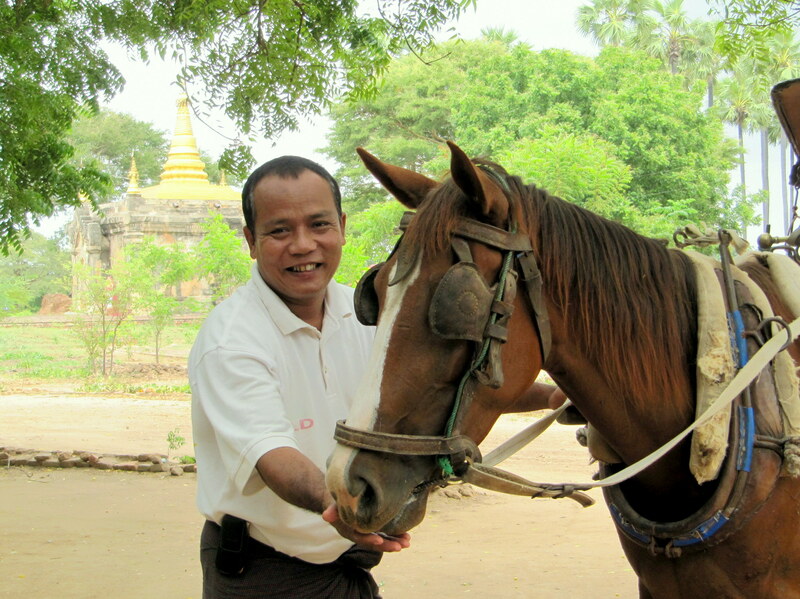 Our horsecart driver Winston invited us to dinner with his family, and became a memorable friend. The little ones look out for even littler ones. 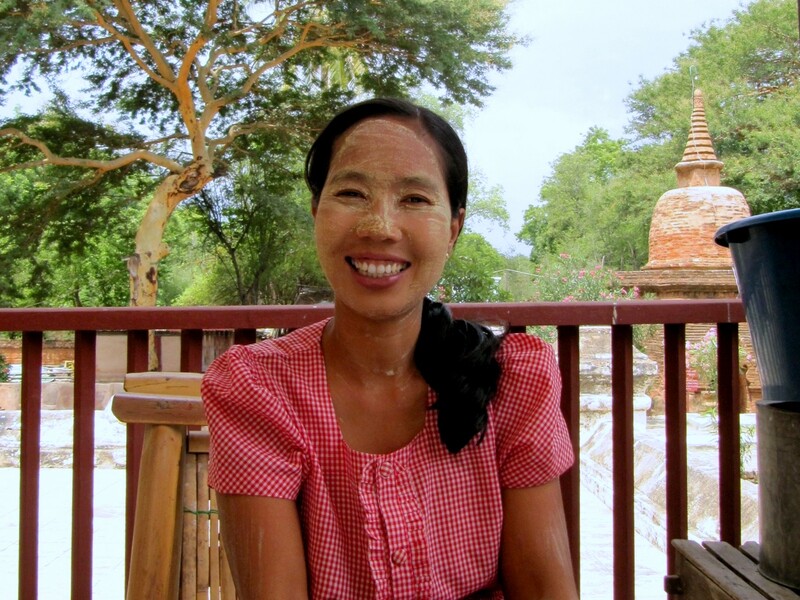 The traditional ‘makeup’ of Myanmar is made from tree bark and is said to protect skin from the sun. Genuine smiles come easily here. 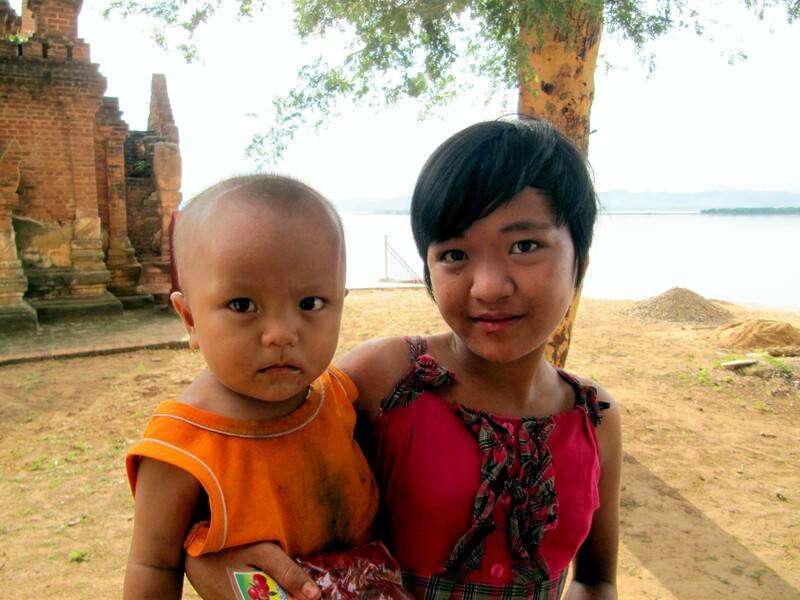 Kids near the temples of Bagan will try to sell you stuff, but mostly, they want to play. 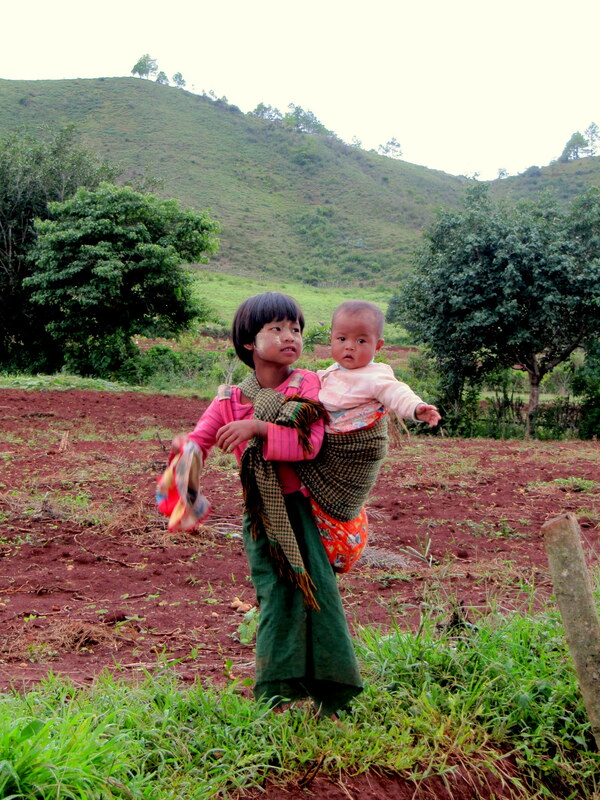 The parents must work, so older kids take care of the babies. Two very different sized flip flops. 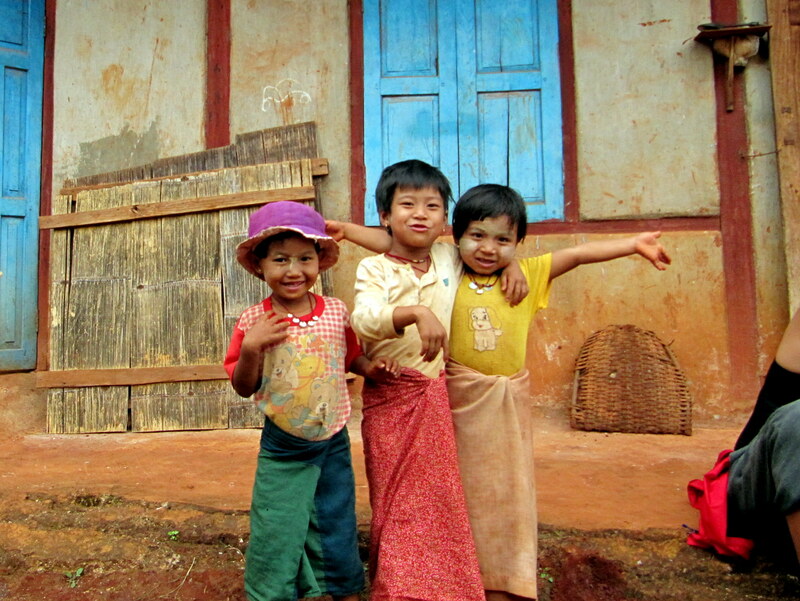 The kids often run up to the camera. They aren’t very shy. 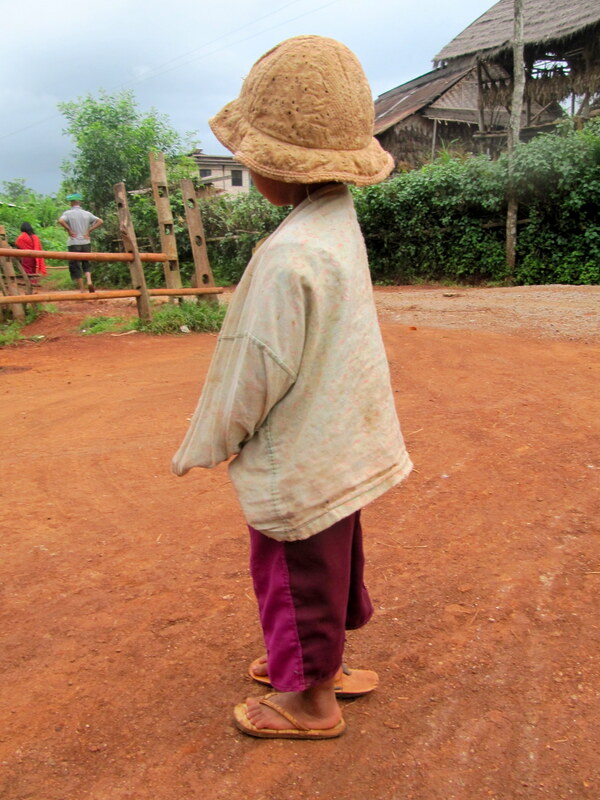 In a village outside of Kalaw. 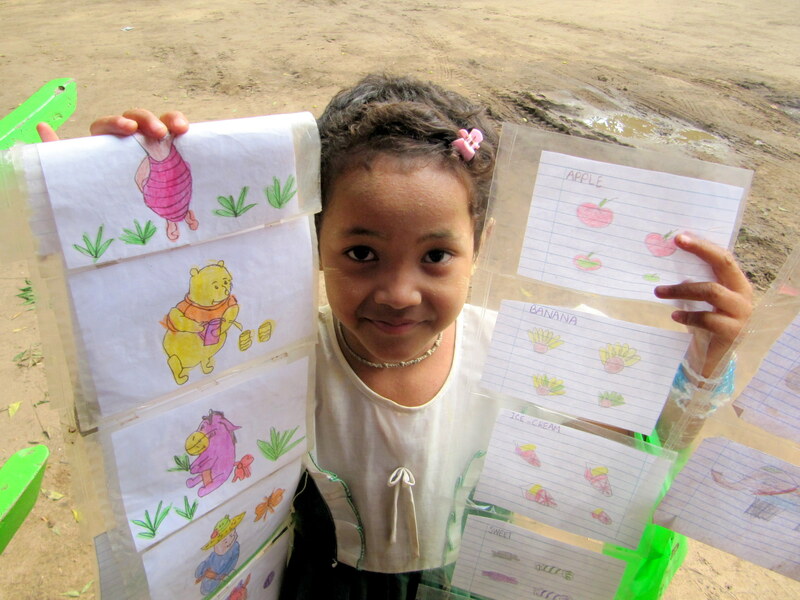 Hand-drawn ‘postcards’ by the local kids make an irresistible souvenir. 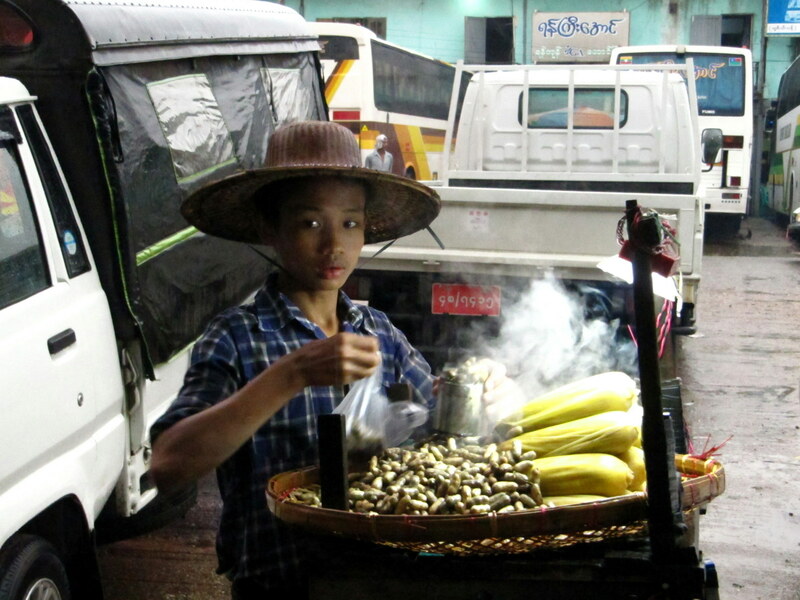 A boy selling peanuts and corn in the rain at the bus station. 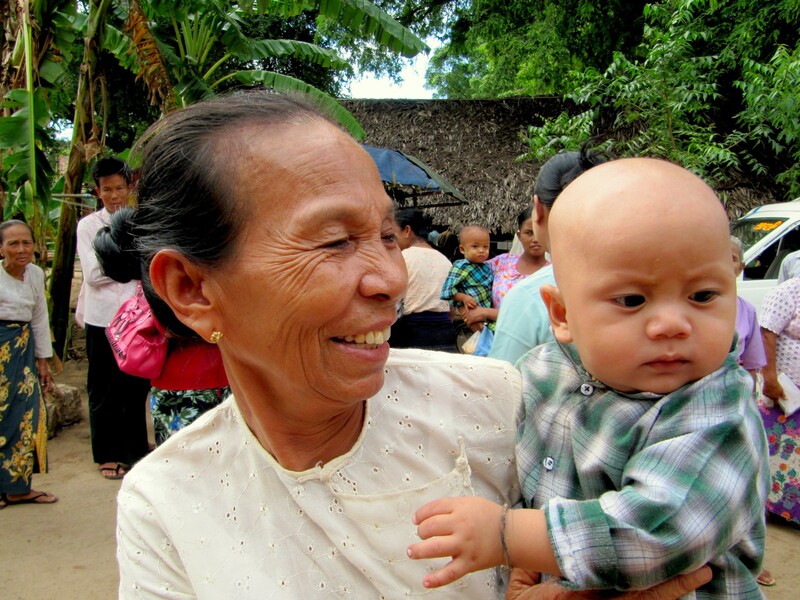 Like most Southeast Asian counties, the kids start working pretty young. 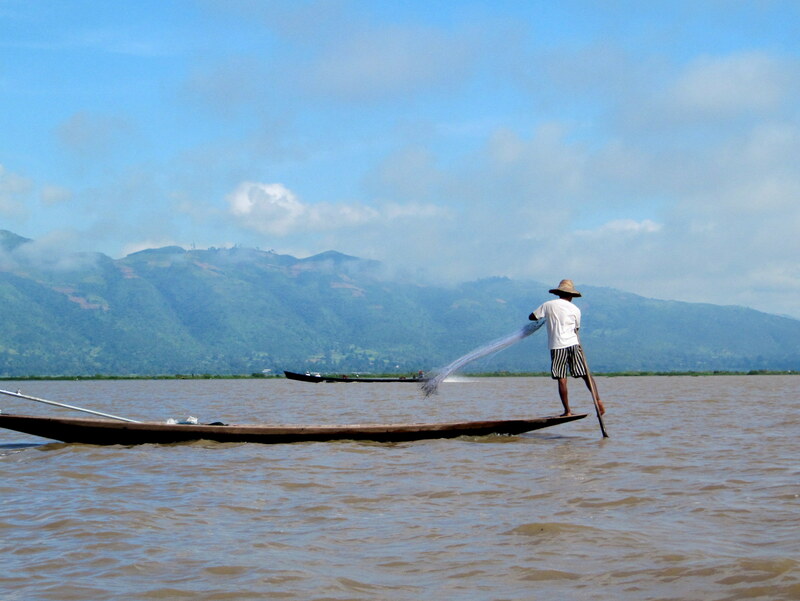 The traditional one-legged rowing technique at Inle Lake is a feat of balance. He’s casting the net and rowing the boat at the same time. The Littlest Worshipper. Shwedagon Pagoda, Yangon. The best ever family. 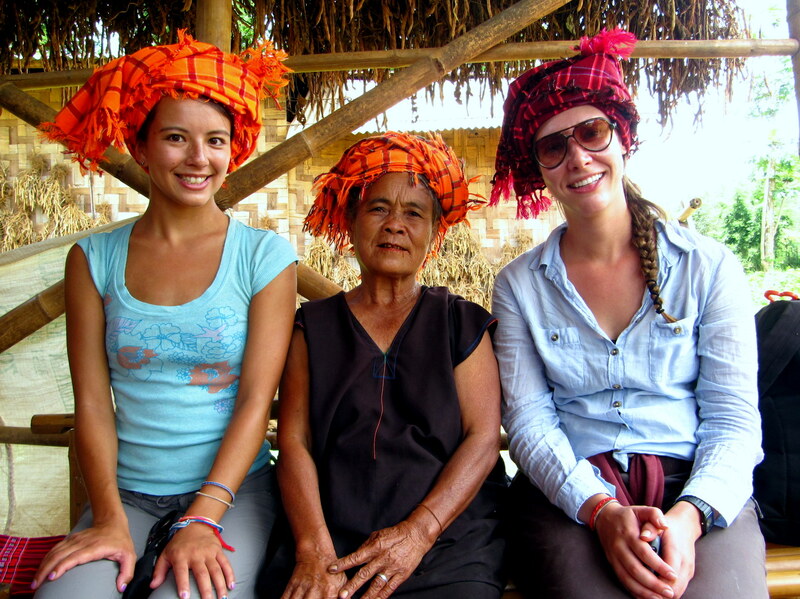 The three sisters learned the trade of massage from their mother and opened a massage business together. If you ever visit Nyaungshwe please go to Thae Su Family Massage. It seems to be internationally true that little babies look like grumpy old men. 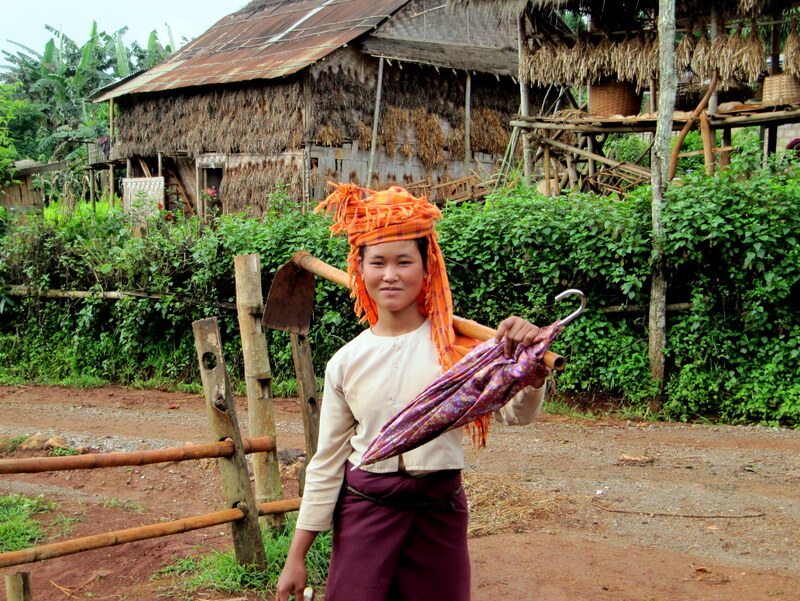 We got to try on the traditional headdress of the village. Myanmar is undoubtedly on the short list of my favorite countries, and I definitely plan on going back and spending more time there. These amazing photos capture the joy and happiness of the people you met. I want to visit now, too! Michelle, Your photos are amazing. It was really emotional looking through them–in a positive way! 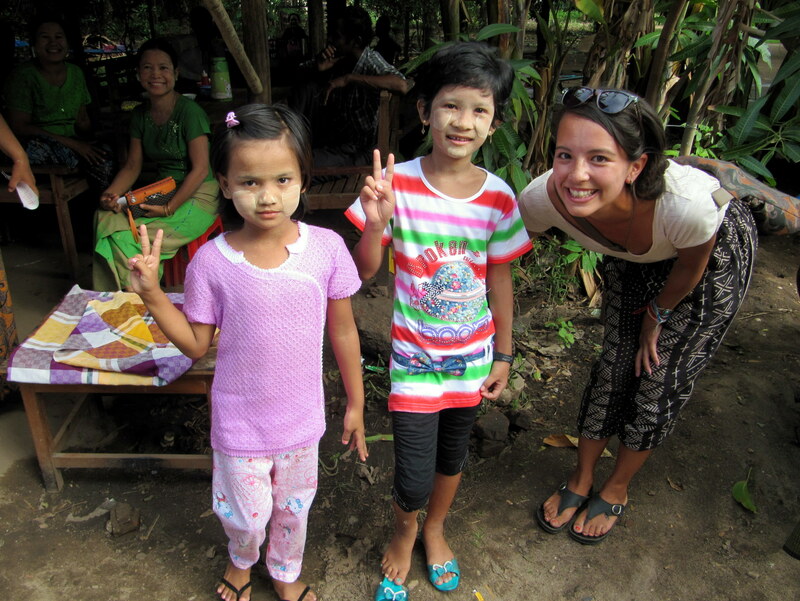 It sounds like your travels were filled with so many real and memorable experiences. Thanks Kelly, I’m glad you enjoyed it! It was a really moving, memorable trip and I wouldn’t trade it for anything.